Welcome back to our Five Elements series! This week we'll talk Metal, the second element in the production cycle. If you're just tuning in, check out last week's episode, Feng Shui and the Earth Element. Feng shui incorporates the Chinese five element theory in many adjustments, as both practices seek to find balance and harmony with nature. Maintaining elemental balance can have a profound effect on many areas of life, including financial stability, relationships with others, your relationship with yourself and so much more. Let's take a look at how the Metal element works and how to keep it in harmony! I hope you enjoyed learning about the Metal element! Is this element balanced in your spaces and life? If not, use some of the suggestions here and in this month's My Favorite Things post to adjust the metal energy. We'd love to hear about any feng shui remedies you use or answer any questions you have about the five elements! Don't forget to tune in next week for the Water element! 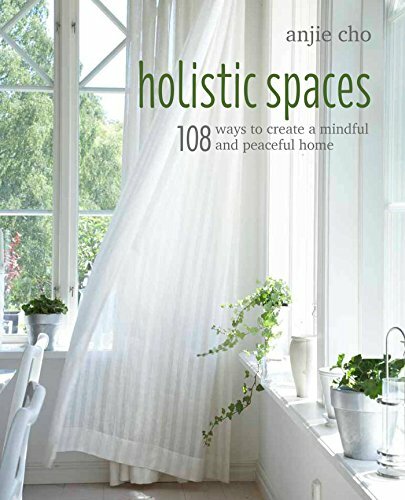 Be sure to visit our blog at Holistic Spaces and sign up for the Holistic Spaces newsletter for feng shui and green design tips and a 10% off coupon to the Holistic Spaces store! I also encourage you to reach out with any questions you may have relating to the five elements, green design or feng shui, and we will answer them in our Q&A Sunday series. Tune in April 25 for the next Holistic Spaces Podcast, Feng Shui and the Water Element.